One of my fav. fish have finally spawned. I have these in a 5ft Frag tank with nothing else but some peppermint shrimp, and ofcourse some coral frags. I have had a pair of these spawn many years ago but had no success. The difficulty is getting the right sized foods for such tiny and delicate larvae, i believe. But as I love a challenge, i'm determined to raise these. These have been raised in captivity before, but by very few people and don't believe they have been done in AU. Last edited by chris melb on Sun Jul 03, 2016 11:30 pm, edited 1 time in total. The batch I am currently trying to raise is the second as I missed the first spawn. Returning an hour later after switching all the lights and pumps off, I only saw three larvae when shining a torch. It looks like the entire nest hatched as there were no more eggs. Its possible amphipods etc got them. Next time will check sooner after lights out. The three were scooped up (collected) using a measuring spoon. Anyway as I'm only dealing with three this is a simple run to see if they can survive past their yolk reserve on a haphazard supply of harp pods and most likely ciliates. These are currently in a 2litre systemia tuppaware container that sits inside a tank. I'm keeping a compact fluorescent on for 24hrs a day. Tried to get a close up of the eggs. Day #3 and to my surprise all three larvae are still alive!!!! 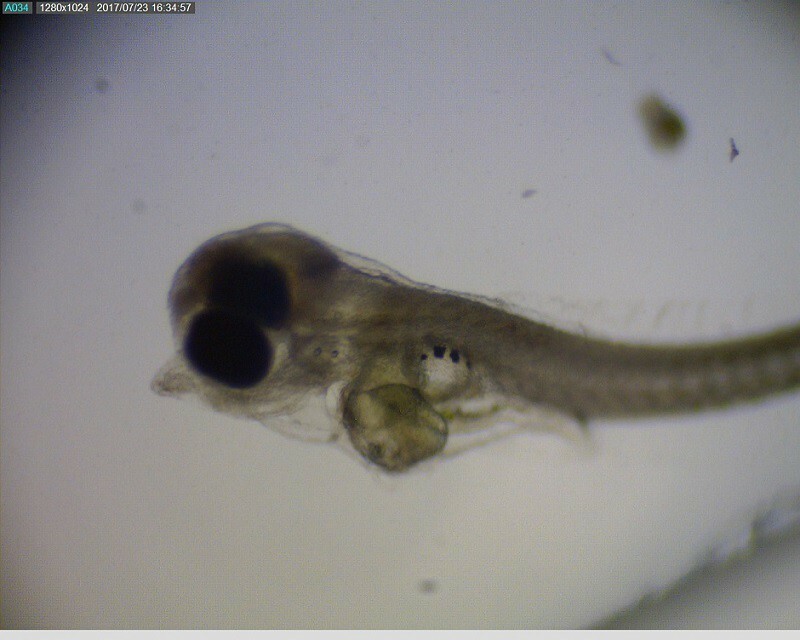 I will see if i can get some pics of larvae soon but they wont be very good ones. I'd be interested in exactly what food items you are using. And also in purchasing a couple of your first successfully raised batch! Chris,find yourself in that old thread! Gregg wrote: I'd be interested in exactly what food items you are using. And also in purchasing a couple of your first successfully raised batch! Larvae were fed harpacticoid pods and most likely cilliates. In this run they, survived to Day 4 but then died. I have another nest due soon and will have a better setup for them ready in time hopefully. Thanks Luis, yep read your great journal many times back then and re read again now. It keeps me going knowing some people can have success . Would love get my hands on some calanoid pods but here in Australia it would mean me going to down to the beach to collect and isolate (which I very well may do when time permits). Harp pods I have but prob not as ideal as calanoid (bethnic vs calanoid). I know Ed mentions these can be raised on L strain rots and baby brine. But I'm yet to see anyone else succeed using traditional feeds. Luis, have you raised any more of these? Yup a trip to the beach is always fun Though I´m not sure what you´ll find in winter,unless you are close to the tropic?. Not close the tropic. Thought there would still be some in the waters despite it being winter. I have rotifers, and harp pods might try that combination. How's this project going? It would be fantastic if you could raise these! Finally got my act together, now that I have SS type rotifers, and collected around 70 larvae 3 days ago. They had very large yolk reserves and appeared very active, which is a good sign of larval health. Despite their energy, they never appeared to be great swimmers, even prior to collection. I can still see some alive at 3dph but definitely not 70. Hopefully over the next day or two I'll be able to confirm whether they are eating. I'll be over the moon even if I get one to meta . 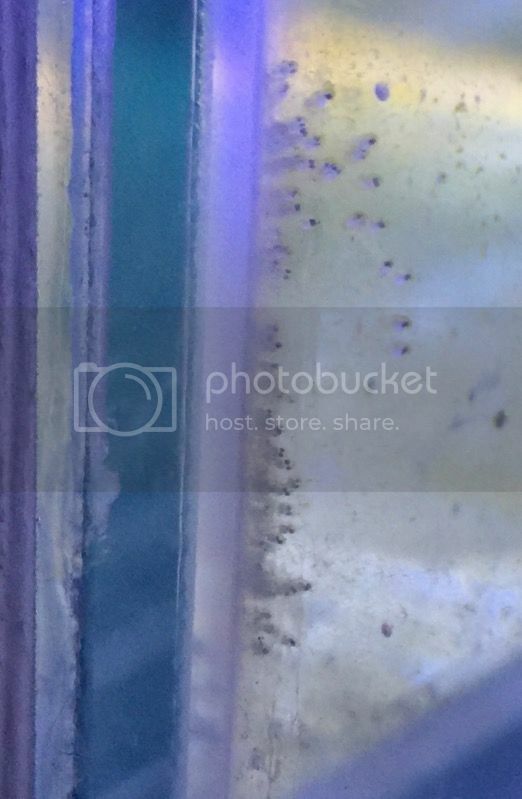 I wish you the best luck with them.If they don´t feed on SS rots,try to obtain copepods. Thanks Luis, I have two alive at 5 dph so i'm assuming they're eating something. I know that Ed was able to raise them on L strain Rotifers and made it sound rather easy so I'm happy to try a few runs with SS-type. I do keep cultures of harpacticoids and noticed that some are also in the kreisel. However, your right Luis, I really do need to get my act together and get some calanoids, which aren't all that easy here in Australia. Here is brief vid of them at 2 dph after live phyto (nannochlorpsis) cleared. 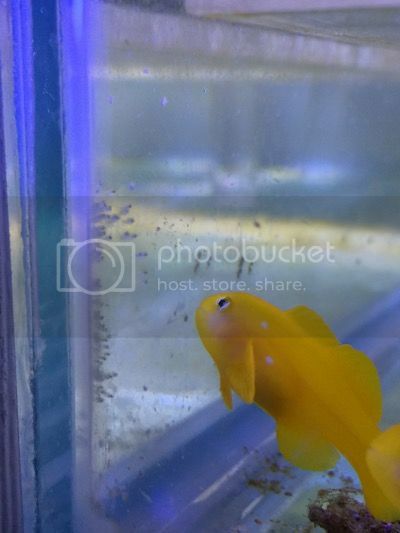 I think that their swim bladder is possibly not fully developed at 2dph. At 5dph (today) I think only two remain but they are in the water column now. I have another batch hatching in 4 days and will try a BRT instead of my Kreisel, which is used more for observation and tended to get clogged with the nanno additions. Hi Chris,are they still hanging around ?. Try Apocyclops panamensis,small and easy. I could give you some,if you can get them. Unfortunately they didn't make it past day 6. I'll see if I can get Apocyclops panamensi in Australia. I can't seem to easily find Parvo but still trying some Universities. It would be great if you could supply me some but not sure that is possible due Australian biosecurity. It thank you so much for the offer. I should take a plankton net to the beach and see what I get. 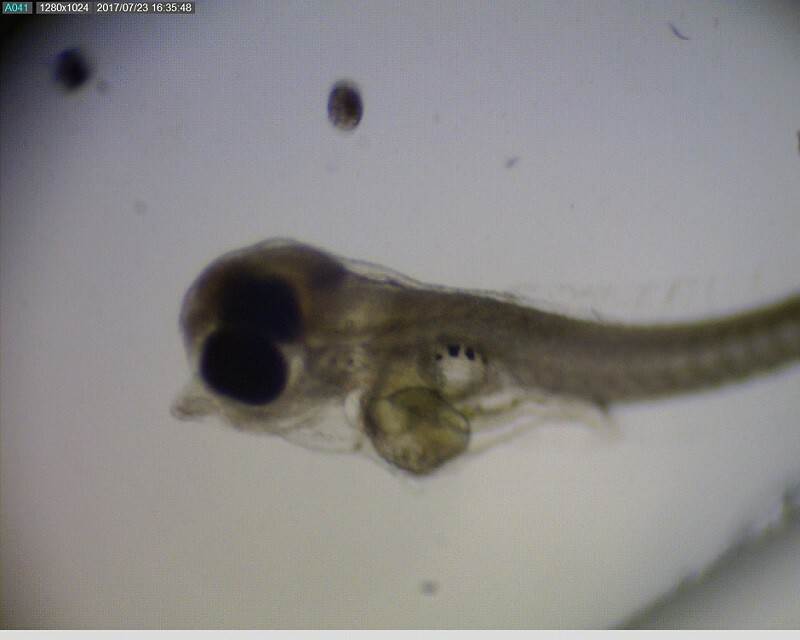 I have a another hatching tonight or tomorrow night and will try seeing if I can stimulate a ciliate bloom. Well, another two attempts failed miserably with none surviving past day 3, which explains my lack of posting. The black round tub (BRT) didn't seem to improve things. The large roundish bulge, I believe, is the larvae's yolk reserve and clearer circle above it is what I believe to be an inflated float bladder. The two black dots in the background should be SS rots. For this run i'm using a 220mm cube glass tank with a heater & air stone to help see what's going on. The tank is lit using a Tunze Marine Eco Chic 8811 that sits on top of the tank. Still using SS rots and live Nannochloropsis, which may not be ideal but in a week or two I will start a culture of T.iso and hopefully Parvocalanus crassirostris, if I can find them here in Australia. Well unfortunately this batch also didn't make it past 2DPH. These larvae are very small and slow to grow.Let me know if you have somebody coming to BA.